Posted on November 20, 2018. Filed under Association News. Be the first to comment. 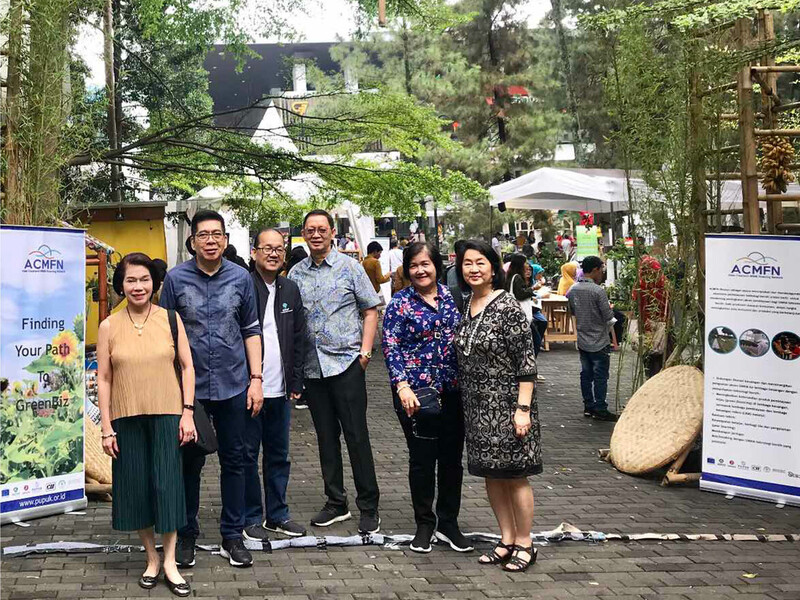 ADFIAP, as lead partner of the EU-funded Asian Cleantech MSME Financing Network (ACMFN) project, participated in the “Bandung Green Festival” (BGF) launched by PUPUK or the Association for the Advancement of Small Business), our Indonesian partner in the ACMFN project. This was held at the Ciwalk Mall in Bandung on November 10-11, 2018 back-to-back with the “ACMFN Cleantech MSME Finance Forum” on November 9, 2018 (please see related story) at the Aston Tropical Hotel, Bandung. 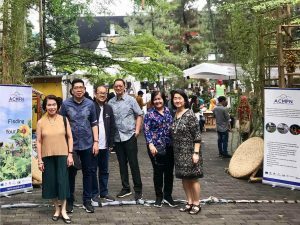 The BGF was jointly organized by PUPUK and the various “komunitas” (communities of MSMEs) to strengthen their collaboration in the development of an effective cleantech eco-system in the greater Bandung area. The BGF is an exhibition and a marketplace showcasing SME’s innovative eco-friendly and sustainable non-food products as well as organic/healthy food products including, eco-packaging, renewable energy, aquaphonic, organic farming, recycling, green architecture, among others. It was an opportunity to increase public awareness on sustainable consumption and production practices, organic products and cleantech applications in the production process. Thematic booths were set up by various “komunitas”, namely: AIKMA on new and green products/green food production; K1000Kebun on urban farming, edible garden and composting; KOI on local essential oil; KHH on recycling; and PUPUK on various green products. There were sessions on eco-friendly topics such as urban farming, composting machines, recycling, green cosmetics and body care. Kid activities on raising awareness on “Green and Healthy living” were held plus photography competition on greening the environment. The BGF was well-attended with an estimated 3,000 visitors and achieved its objective of exploring innovative approaches and essential partnerhips towards the development of a cleantech financing eco-sytem in Bandung. ADFIAP Secretary General, Octavio B. Peralta, together with the ACMFN Project Management Office Team attended the event. The BGF is a project under ACMFN, a 4-year SWITCH-Asia EU-funded multi-country project in China, Indonesia and India which aims to promote sustainable products, processes, services and consumption patterns in Asia. To find out more about ACMFN, please visit its website www.acmfn.com .